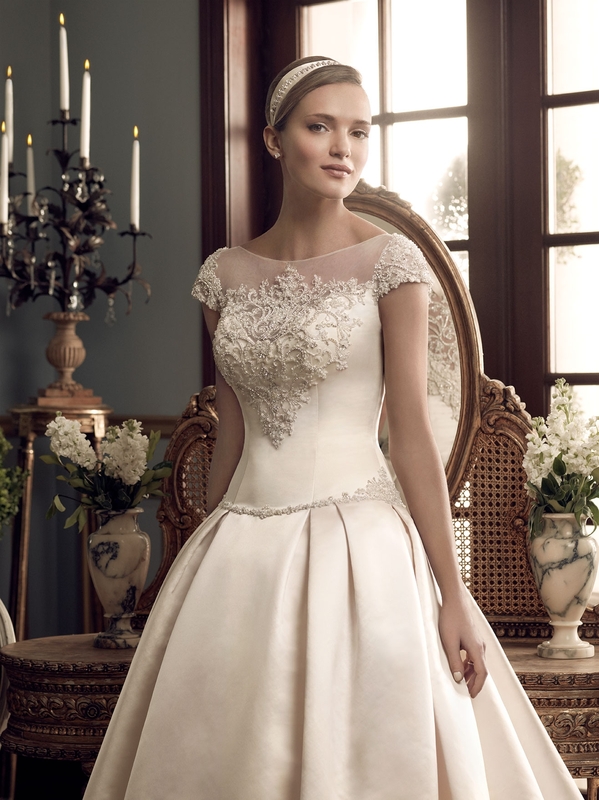 Sleek Satin ball gown with a dropped waistline features hidden pockets in the skirt. Box pleats are strategically placed on the front and back skirt to enhance the silhouette. The illusion front and back neckline and cap sleeves are accentuated with elaborate vintage inspired beadwork and embroidery. Matching Sleek Satin buttons are along the entire skirt and train. This gown features an inside hook and eye fit panel.